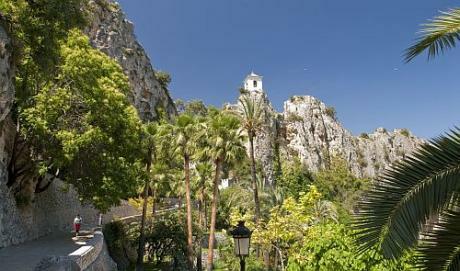 Guadalest is located on a high peak, built-into a rocky outcrop which is traversed by a man made tunnel excavated into the rock. The peculiar nature of the municipality is apparent from afar, whilst its heart holds even more surprises, ranging from a neighbourhood that shows vestiges and remains from a good part of the of the local history, to a complete and varied selection of museums. The enclave, is both surprising and spectacular, besides which, it is surrounded by the “Sierra de Aitana”, the “Sierra de Serrella” and the “Sierra de Xortà”. Castell de Guadalest is on the CV-755, which can be reached from the interior via the N-340 and from the coast via the N-332.